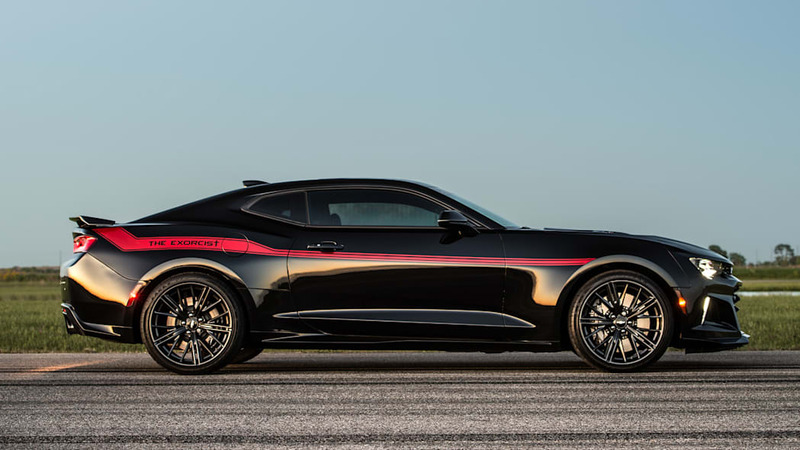 We've got roughly another week before Dodge reveals its hellish Challenger Demon, but Hennessey has already produced a rival. 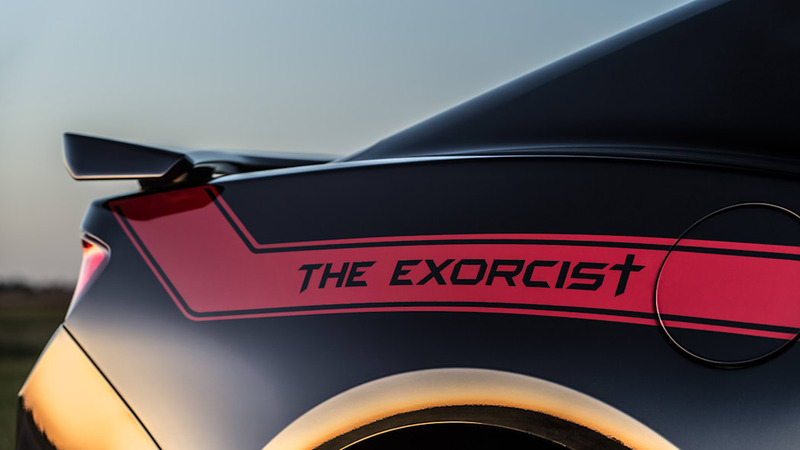 It's called the Exorcist, and both the name and Hennessey's press release make it clear the car is designed to be the anti-Demon. 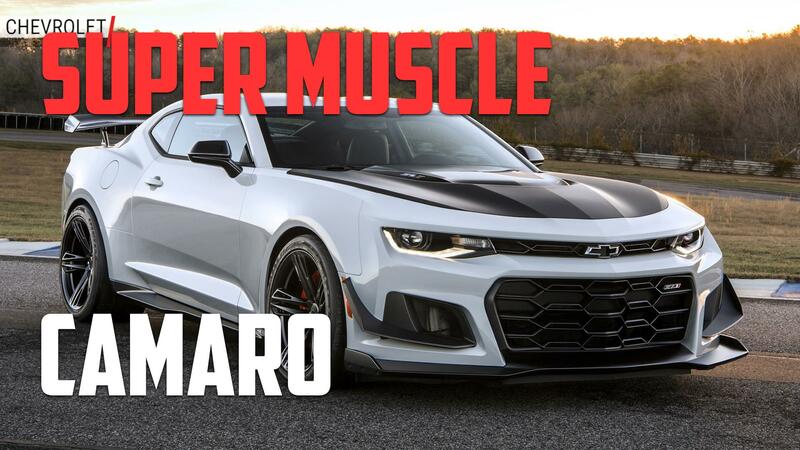 That may not come across visually, since on the surface it's just a standard Camaro ZL1 with decals. 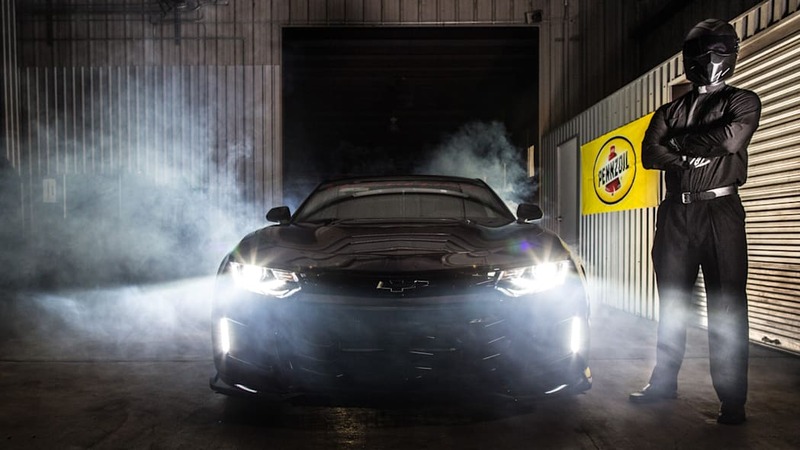 But underneath is an LT4 V8 tuned to 1,000 horsepower and 966 lb-ft of torque. 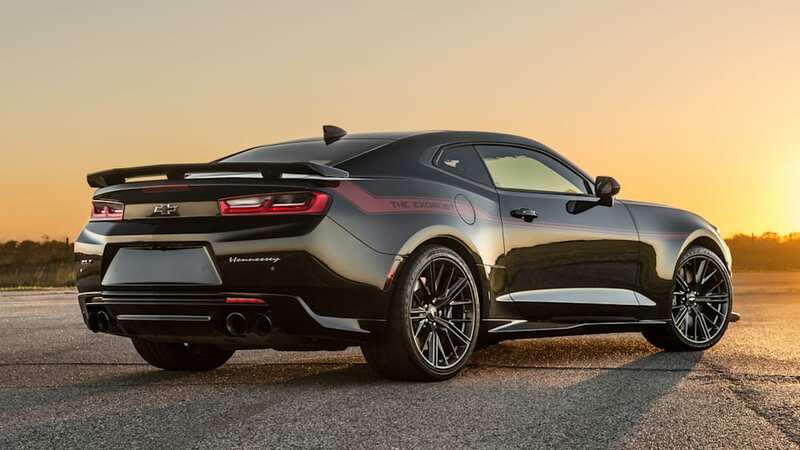 To hit those lofty outputs, Hennessey ditched the standard supercharger for a bigger one and added an upgraded intercooler. 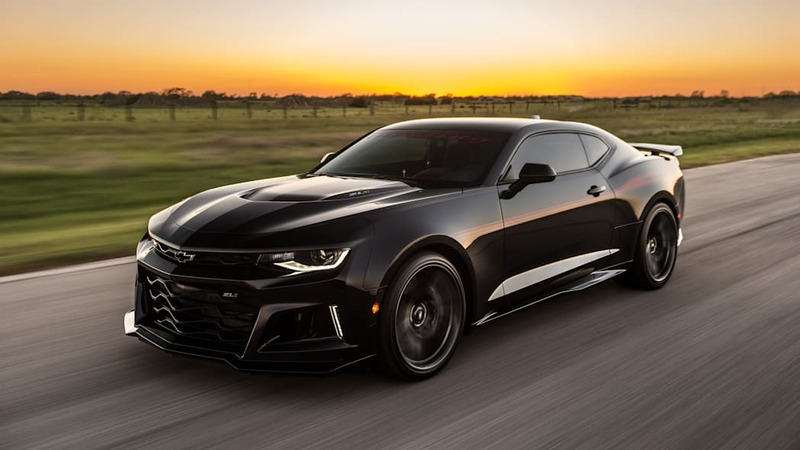 The company also fitted a more aggressive camshaft, ported heads, long-tube headers, and tuned the ECU. 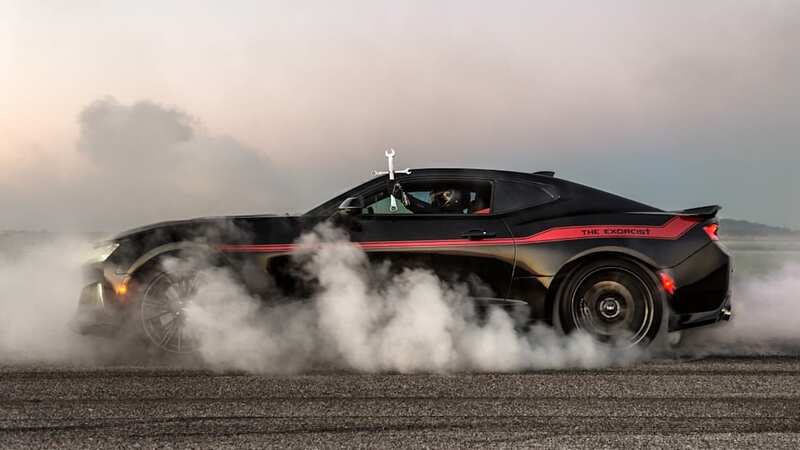 Coupled with drag tires, Hennessey claims the Exorcist is good for a 0-60 mph time of under 3 seconds and a quarter-mile time of under 10 seconds. 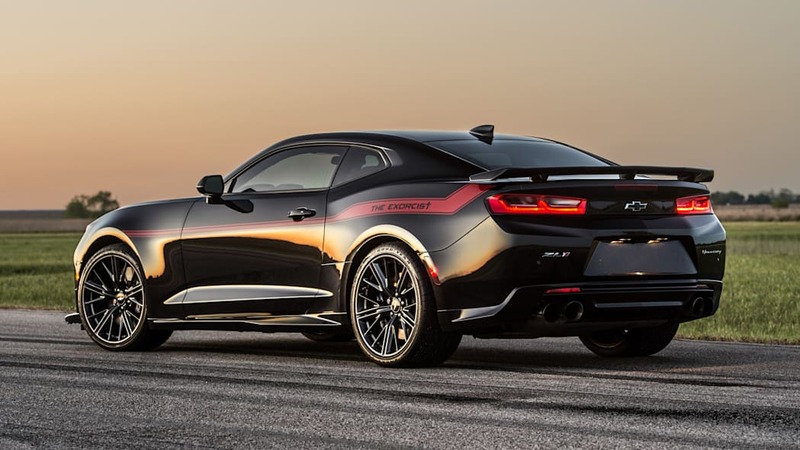 And Hennessey will sell you a set of drag radials to help you achieve those times, but like the rest of the package it'll cost you. 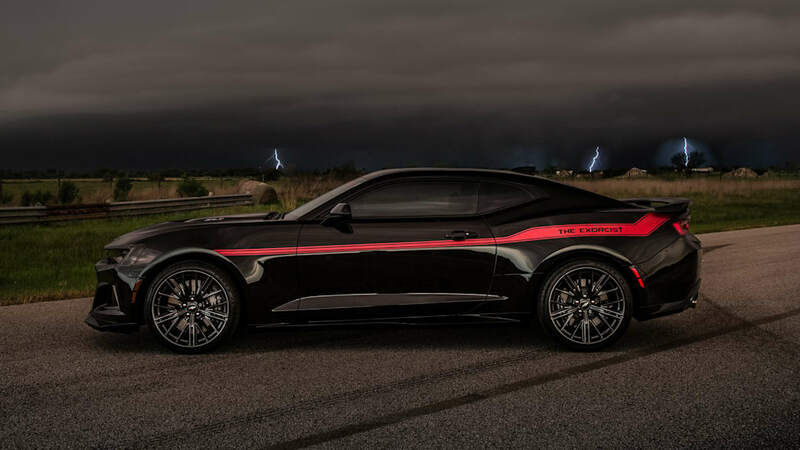 The complete package, including the Exorcist decals, rings in at $55,000 – and that's on top of the Camaro ZL1 you have to supply. 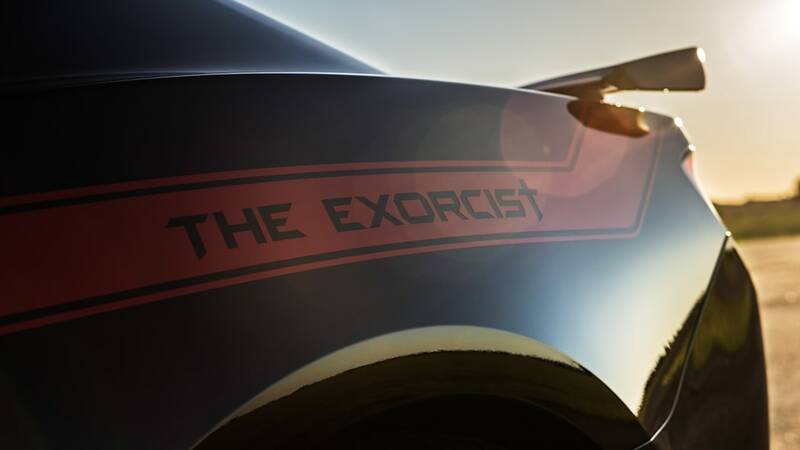 Unless you already have one or picked up a used or discounted example, the least you'll pay for an Exorcist is just over $118,000. 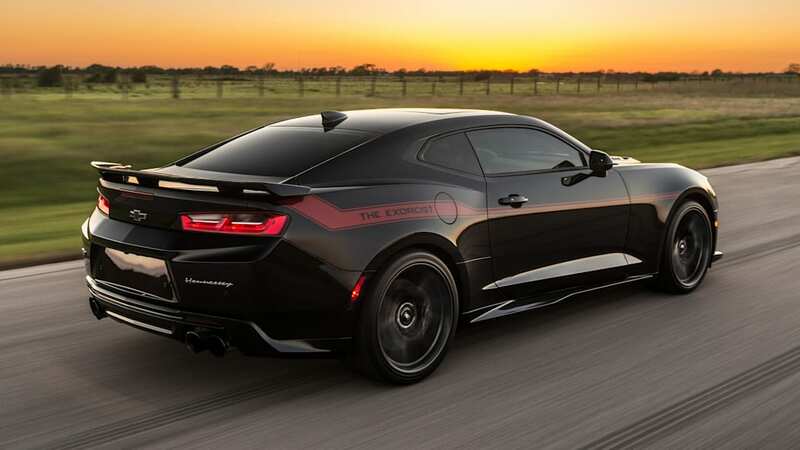 And if you want Hennessey to upgrade an automatic, you'll be spending another $9,950 to upgrade the transmission. 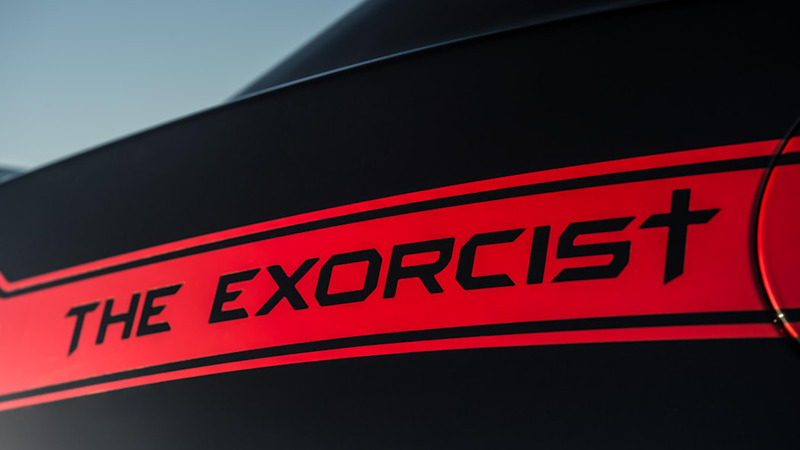 On the plus side, the Exorcist upgrade does come with a 2 year/24,000 mile warranty. 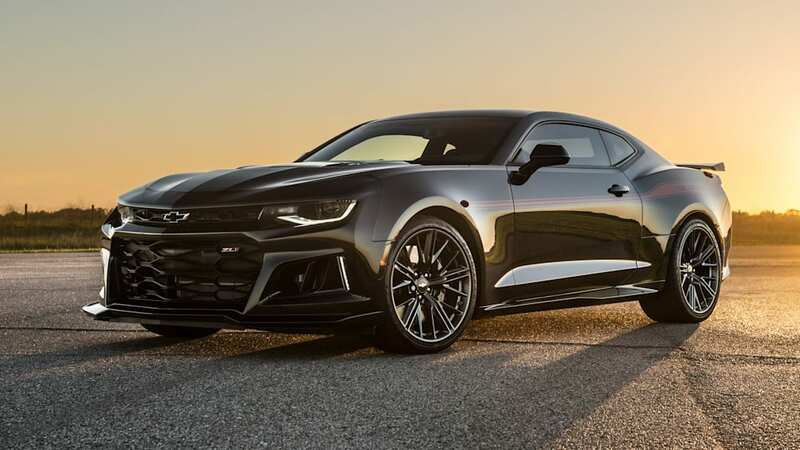 It's also going to be an exclusive vehicle, with only 100 built each year. The company offers a couple of options, too. 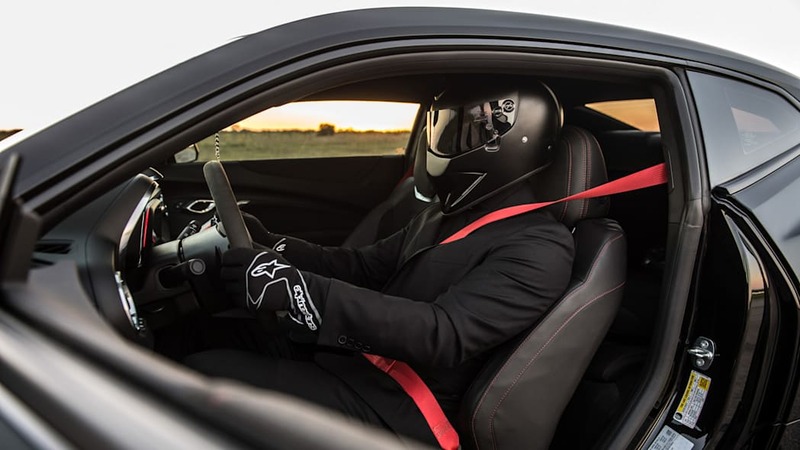 For $8,995 you can get a drag pack with two wheels shod in Nitto drag tires along with a floor jack, tool kit, and upgraded driveshaft. 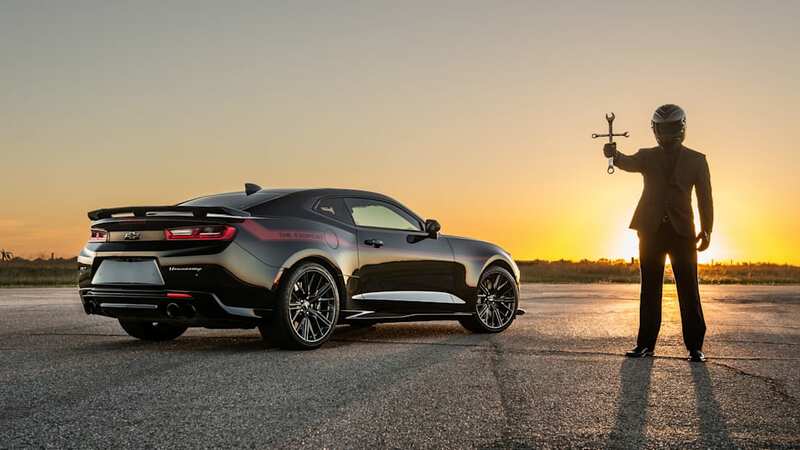 And if track driving is more your style, the road race pack comes with a set of lightweight wheels with Michelin Pilot Sport Cup 2 tires for $6,995. 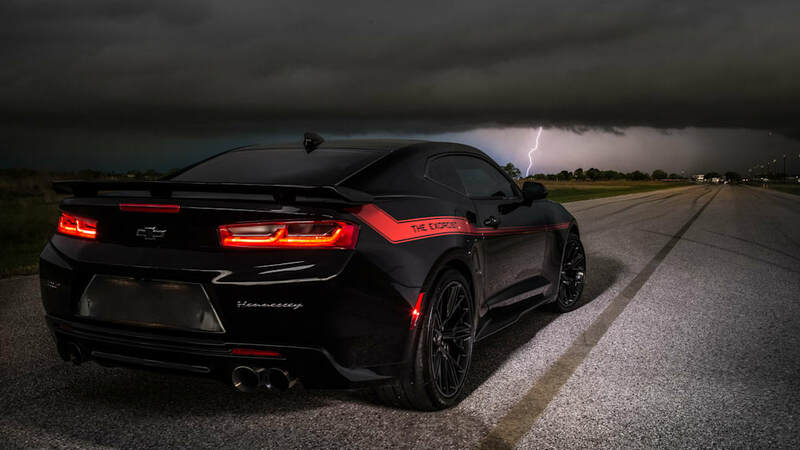 The Hennessey Exorcist is certainly an impressive machine. 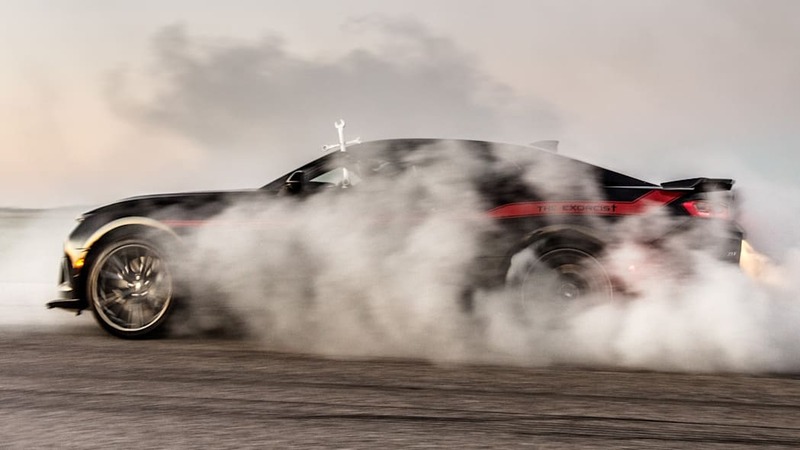 And the video of it smoking tires is certainly entertaining. 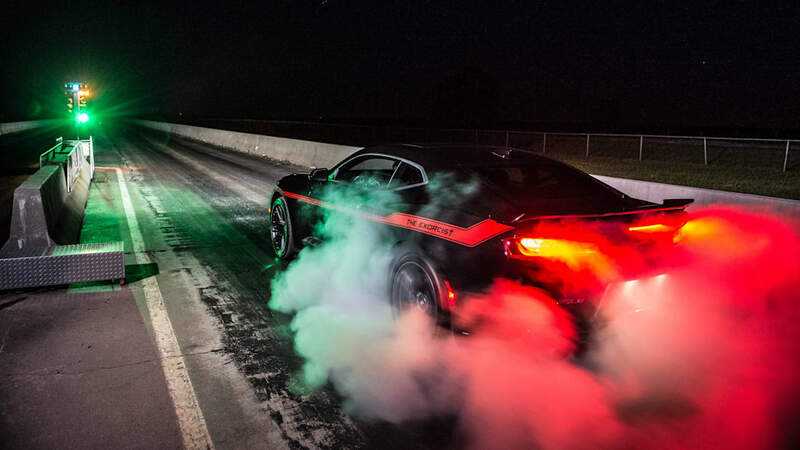 However, it's probably still worth waiting a week before ordering one to see what the Challenger Demon will be like. 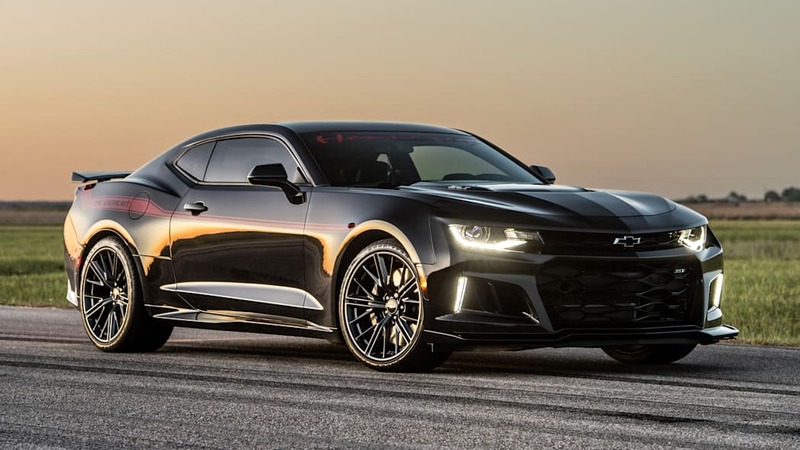 And if you're a bow-tie booster, you may still want to wait, since the ZL1 1LE is on its way and will likely be the better road course toy – though the Exorcist would likely stomp it on the drag strip.